James Luxmoore joined Keating Chambers in March 2009, after beginning his career as a Barristers’ Clerk in 2005. James joined Chambers to assist the junior clerking teams, and has progressed to his current position of Senior Practice Manager. During his time in Chambers, James has built a wealth of knowledge of all members of Chambers’ practices, our clients and the industry. Clients comment that he is “efficient yet also flexible and very easy to deal with” (Legal 500 UK Bar 2019). James runs the Senior Juniors and Junior Silks’ team with the support of Rob Frankish. He is responsible for the management and development of members’ practices, including diary management, work allocation, fee negotiation and client relationship management. James also plays an active role in Chambers’ marketing activities and business development initiatives, particularly in the promotion of Chambers domestically, conducting regular trips to various regions of the UK. 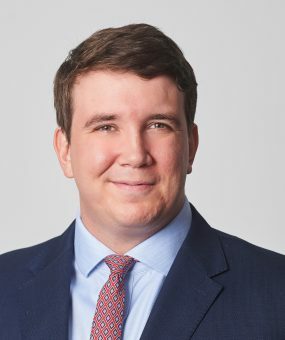 Outside of Chambers, James enjoys spending time with his family and is keen sports fan with a particular interest in rugby, both playing and coaching.